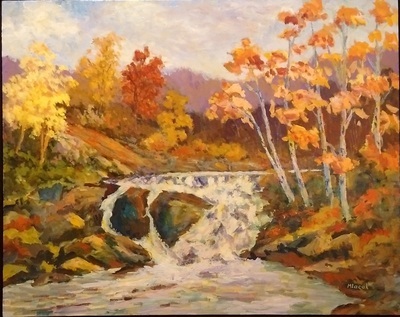 Kanata artist, John Mlacak was a passionate oil painter. 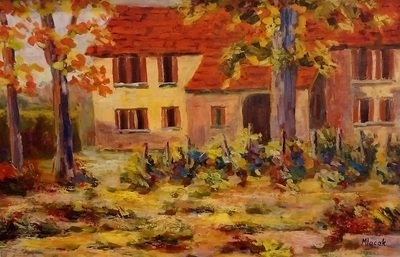 His work captured both the bold and subtle colours of the Canadian seasons and the vibrant red and green roofs of Quebec farm buildings and towns. He was fascinated by the play of light and shade weaving through trees and over the white torrent of rapids and waterfalls. While John created large oil canvases of stone terraces, flower-filled gardens, porches and impressionistic scenes of yesteryear, he returned frequently to the grandeur of the Canadian landscape. His miniature oils are very popular. His paintings journey through such magnificent locations as the Gatineau Park, Rivière Rouge, l’Estrie and the Charlevoix area of Québec. Other paintings reflect scenes in Ottawa-Carleton and travel in the Maritimes, New England and Europe. He viewed his art as an extension of his former interest in design work as an engineer. John studied with a number of renowned artists. 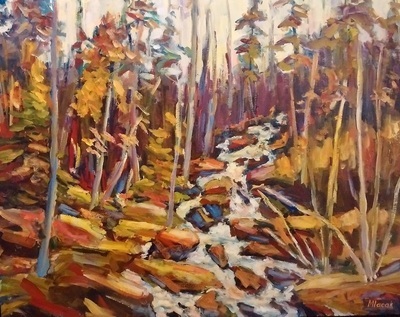 He was influenced by the late Canadian artists Brodie Shearer and Bruce Heggtveit, and greatly admired Canada’s own Group of Seven, Tom Thomson and the French Impressionists. 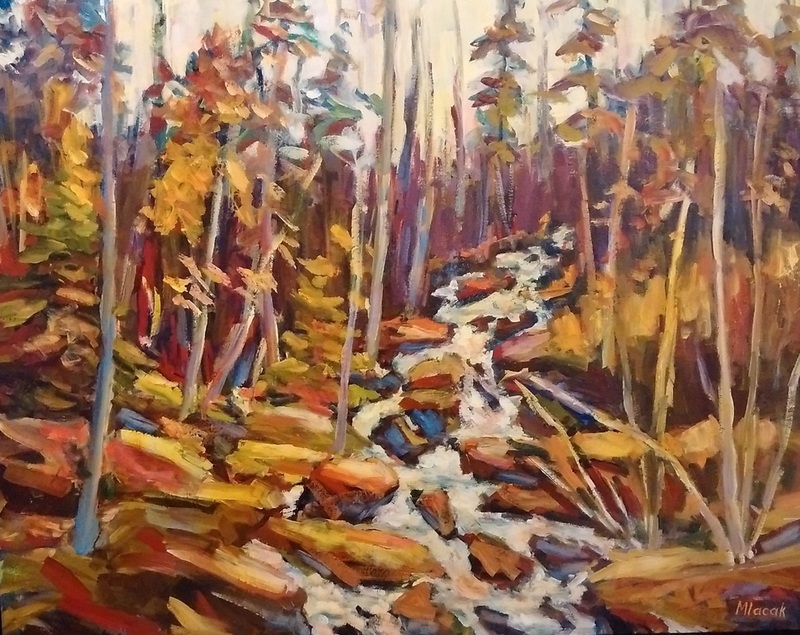 John participated in numerous group and solo shows annually and won many awards for his art in juried exhibitions including the Lucille Broadbent Award for Artistic Achievement in 2010 from Ottawa Art Expo. John was well respected for his repeated generosity in donating work to a considerable number of charities. John retired in 1994 after a 35-year career with Bell-Northern Research. For 11 years he was active in local and regional municipal politics in Ottawa. He served a three-year term as a Commissioner on the National Capital Commission and was a member of the Visual Identity Advisory Committee of the Ottawa Transition Board during 2000 when it recommended some of the civic symbols for the new amalgamated City of Ottawa. In addition to his interest in music and politics, John enjoyed photography. he is represented in private and corporate collections in Canada, the United States, Europe, South America, Australia, Korea, Indonesia and Japan. John was an elected member of the Society of Canadian Artists (SCA) and the Ontario Society of Artists.